The 20th Anniversary of their debut album Less Is More saw Melbourne power trio Even return to stages across the country, and firmly back into people’s consciousness. Having reclaimed their swagger on the aforementioned tour, the band have been carefully crafting a new record. 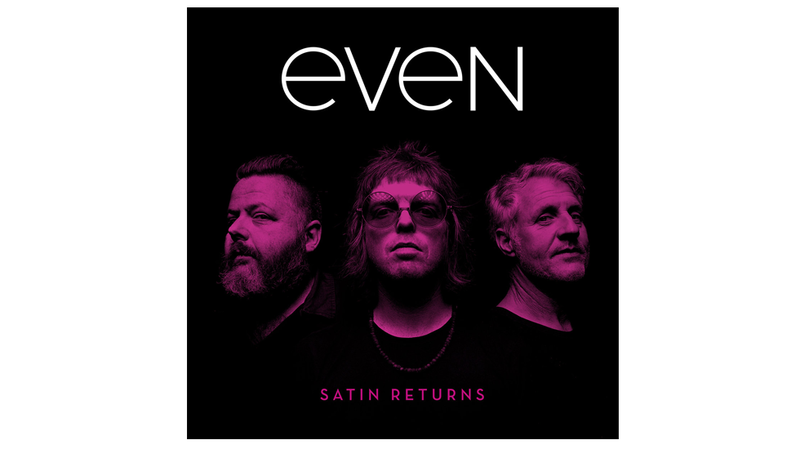 The result is Satin Returns. The members of Even now balance the band between the demands of their day jobs, and in frontman Ash Naylor’s case, as a gun for hire guitarist for many a touring act. Satin Returns was conceived in many studios over a number of years. This change in environment and mood hasn’t allowed the album to become piecemeal in any way, clinging to the classic sounds that made Even so endearing in the past. Being big fans of opening tracks on many of their favourite records, Even decided to kick off their seventh album in style. They even called it The Opener, which centres around a typically punchy riff from Naylor with a minimalist yet kick-arse rhythm section and some hazy loose vocals. It’s the type of tune that would have been all over the youth network during the era when it was still in vogue. Haircuts aside, the British invasion still plays a significant role in the Even sound. Victoria is a shiny tunes that finds the band at their catchy best, while tunes like Pretender and Out Of The Woods don’t lack for hooks either. It is the final track Return To Stardust that is the band’s most ambitious effort to date with a healthy dose of psychedelia (think Pink Floyd) as it steadily meanders its way through an impeccable nine minutes. On Satin Returns, Even stick steadfastly to the “if it ain’t broke” motto and are all the better for it.